Note: Due to the embedded images by Tableau, this article is best viewed on a tablet or laptop. Recently it had been a year since I started using Blendle. Rarely have I been more excited about a news service membership anniversary. 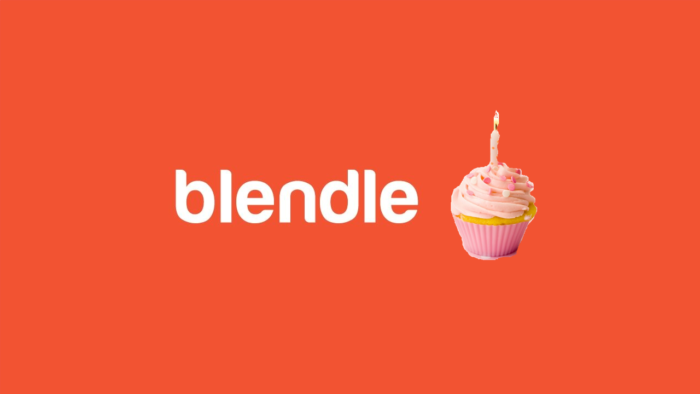 In fact, reflecting on the past year with Blendle as my partner in crime to start the day, I’d never imagined to get so much joy out of using this news aggregator. Figure 1 shows my net monthly Blendle credit spent*, and the return rate**. Over the past year I’ve spent €104 (or €7,97/month), which, compared to a digital daily newspaper subscription is about as much. The difference is that with Blendle I’ve gotten more value for money: compared to a newspaper subscription from which I might consume a tenth of the articles, the journalism startup has allowed me to pay exclusively for what I enjoy reading. To illustrate: my highest yearly spending per newspaper is 12 euros (see NRC Next, Figure 2). Furthermore, I’ve on average returned 19% of the articles that I didn’t like. Add to that a priceless mental benefit – namely that the news app takes away the feeling of urgency to read the newspaper that I’ve experienced when subscribed to a newspaper – and it’s clear that value for money has been considerably higher with Blendle. Blendle’s recent all-you-can-read-for-€9,99/month-offer seems to contradict the reasons why I – and I’m sure a lot of other Blendle users – signed up to Blendle in the first place. In the past few days that I’ve tried out its new offer I haven’t been particularly tempted to switch, but let’s see whether I change my mind in the upcoming weeks. You don’t know what you have until it’s gone, is how the saying goes. This definitely holds for Blendle. In the past, I’ve at times been too lazy to top up my Blendle credit whenever I had run out of it. Instead of opening the daily newsletter and reading two to three articles, I browsed Twitter, surfed the internet, or replied to email or WhatsApp messages. Once I realized how much I missed reading a great story during breakfast, I decided it was time to break my bad habit: whenever I’m out of credit, I add some right away. Amen to starting the day peacefully with my favourite news app. The news aggregator’s offer is insanely large: during the past year, I’ve consumed articles from 47 different titles (Figure 2). The service’s broad offer has three benefits. First, the editors at Blendle have introduced me to some pretty cool international titles. In fact, about one fifth of the titles I’ve read is from abroad, and according to my stats I’m into Belgian newspapers: 3 out of my top 10 most read newspapers are Flemish (De Standaard, Knack, de Tijd). Furthermore, the large kiosk enables me to discover titles in the long tail: for 70% of my magazine portfolio I’ve read up to 5 articles (Figure 3). This confirms that me and Blendle are a great fit: the magazine aggregator is a great way to learn about niche magazines. Last, I’ve been introduced to a broad range of fields: besides the regular newspapers, I’ve been introduced to opinion magazines (Vrij Nederland, Elsevier, De Tijd), fashion magazines (LINDA, Glamour, Vogue), psychology magazines (Psychologie Magazine, Quest Psychologie), and running magazines (Running.be, Runner’s World). There hasn’t been anything more delightful than reading a hand-picked newsletter featuring such a wide variety of stories. It’s clear that me and Blendle have been inseparable for the past year. In light of its recent offer, it remains to be seen whether it will change its proposition, but as long as the pay-per-article model stays in place I would say: cheers to many more years. Really lots of useful advice. Incredible lots of helpful info!